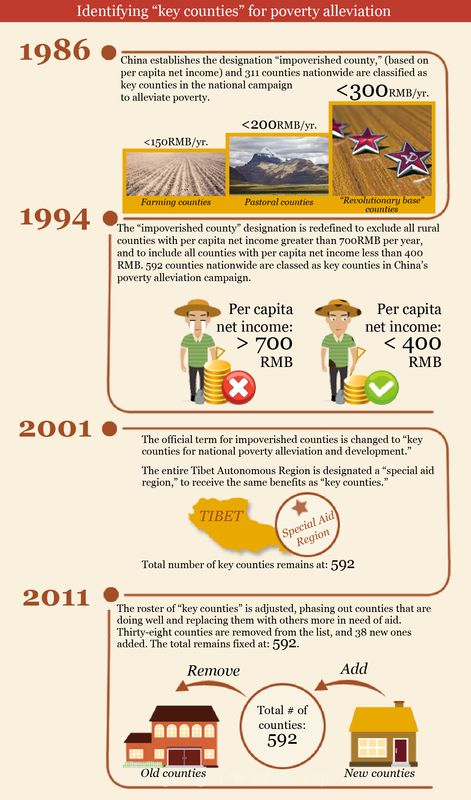 Who Really Benefits from Poverty Alleviation in China? “Is the New Poverty Line ‘Slightly Higher’ than the International Standard?” Guangzhou Daily, December 1, 2011. Translation by Austin Woerner and Yan Cong. Adapted by David M. Barreda. This graphic was originally published by Sohu Business and is translated and republished here with permission. A series of reports issued by China's National Audit Office highlights problems in 19 counties that have received funding from national poverty alleviation programs. News of "impoverished counties’" constructing luxurious new government buildings or being ranked among China's "Top 100 Counties" raises questions about the state of China's poverty alleviation efforts. 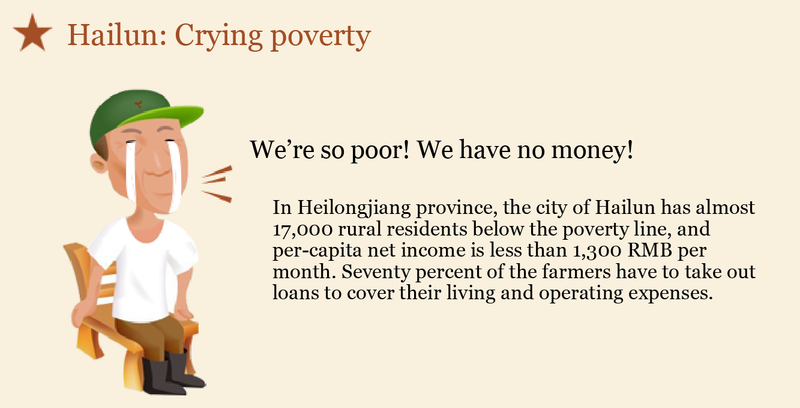 What's wrong with poverty alleviation in China? In 1986 China first established the category of "key counties" and published an initial list of 331. Since 1994, when the total was increased to 592, China's standard of living has risen steadily, but the gap between rich and poor has grown too. More and more rural counties are falling into poverty, but the total number of counties classed as "impoverished" has not changed. Fighting to be called "impoverished"
Conflicts arise as counties across the nation compete to be officially classed as "impoverished." 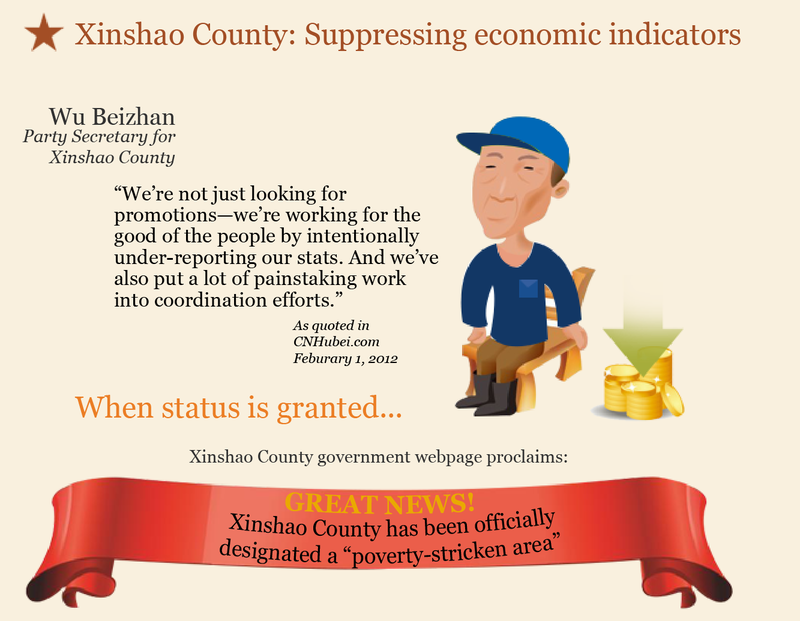 In 2011 China redrew its poverty line. 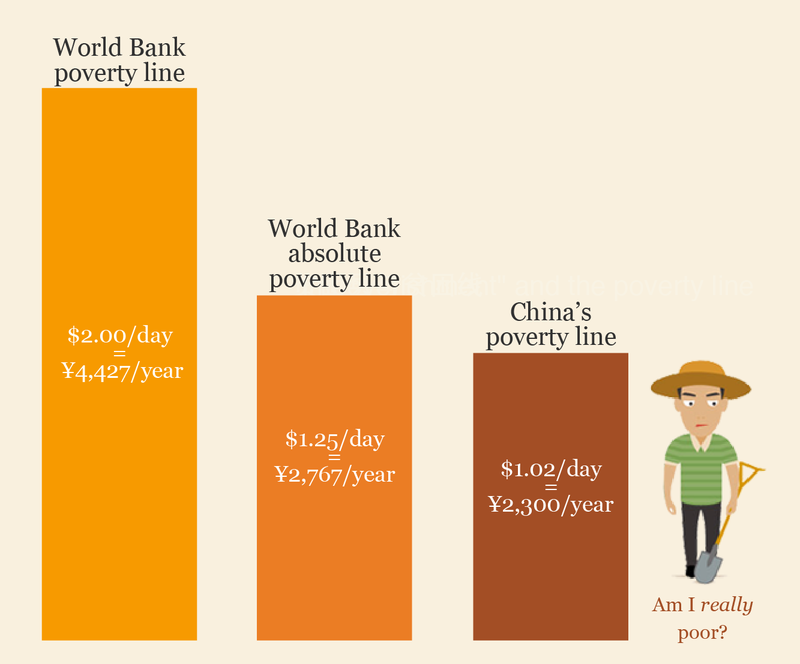 Officially, China's poverty line is not far below the international poverty line. But there are two different international poverty lines defined by the World Bank. 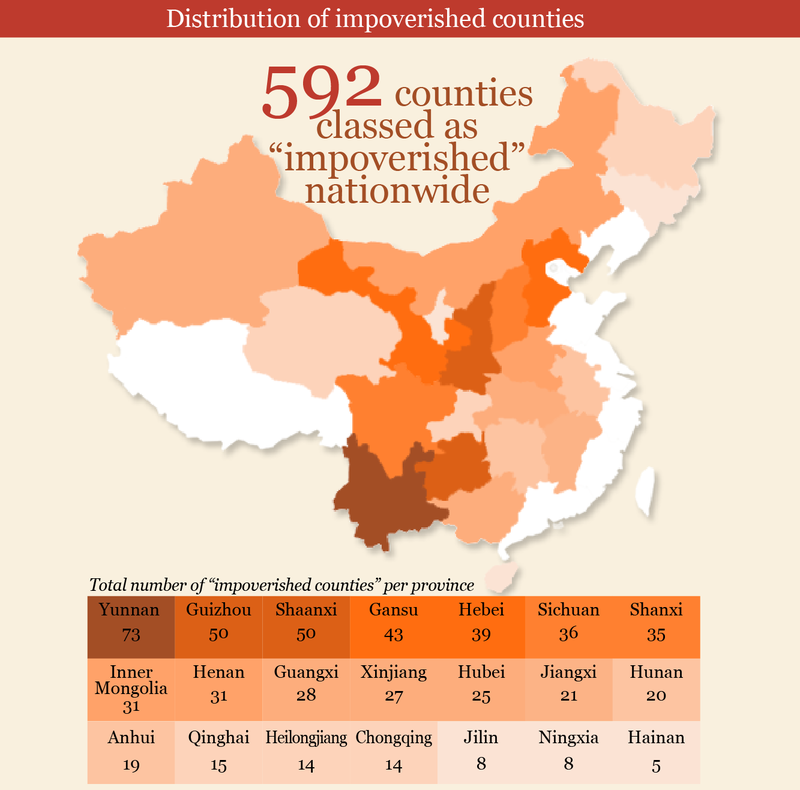 Although China's poverty line is set very low, which counties get classified as impoverished isn't simply a question of how much of their population is poor. According to recent reports from the National Audit Office, counties designated as "impoverished" haven't made good use of government funding. 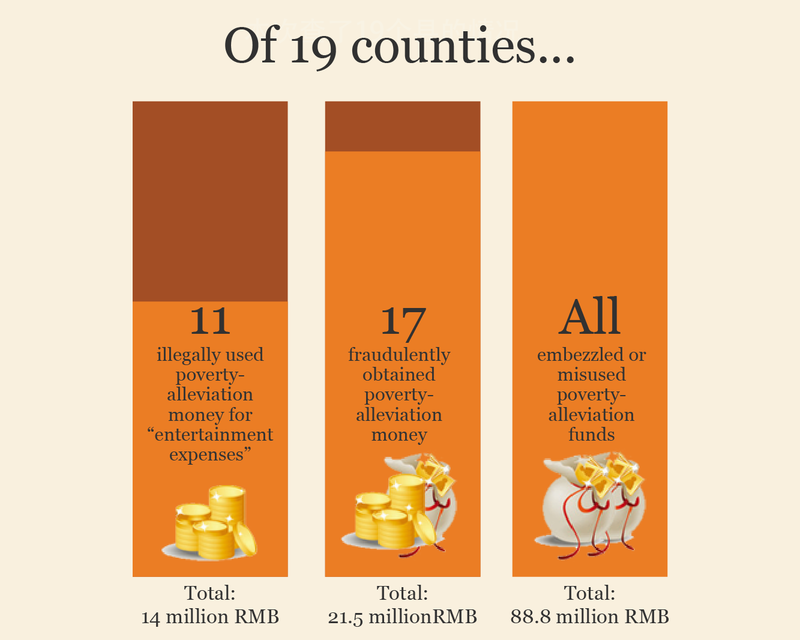 In all 19 counties surveyed, funds originally earmarked for poverty alleviation were misappropriated or embezzled. According to reports from the National Audit Office, counties designated as "impoverished" haven't made good use of government funding. In all 19 counties surveyed, funds originally earmarked for poverty alleviation were misappropriated or embezzled. Competition for funding has turned the national poverty alleviation program into a scramble for government subsidies. 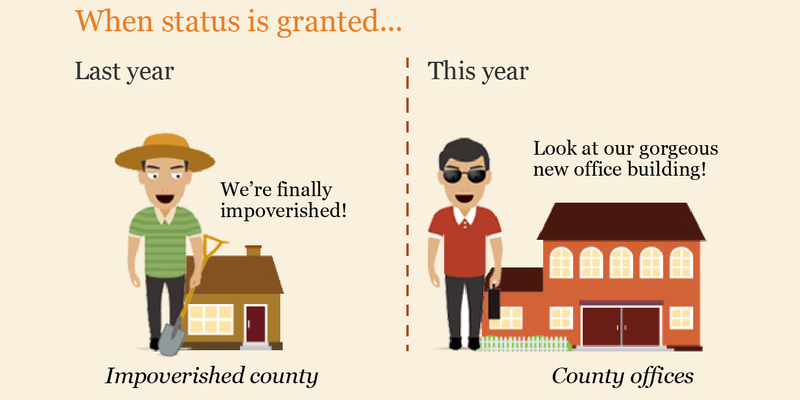 Local governments persue the "impoverished" label and have no interest in escaping "poverty." As a result, rural poverty has become a pawn in the competition for subsidies and favorable policies. A better approach would be to abolish the "impoverished county" designation altogether and give the money directly to poor families instead.